Simply put, the bedroom is a place to rest and recharge. If you set it up to your liking, it’ll probably the cosiest place you know. Just as a good bed goes a long way towards providing this feel-good factor, so does all the other furniture in the room. And while it comes in various shapes and sizes, there’s one common feature that every bedroom can’t do without: storage space for clothes! 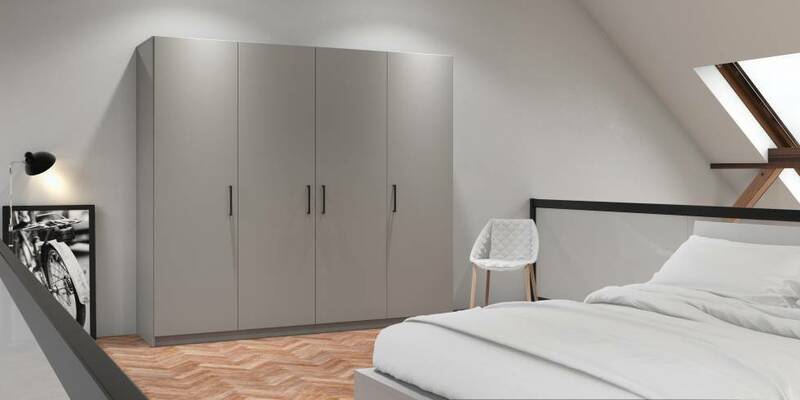 Whether it’s in the form of a walk-in wardrobe, a wardrobe that’s hidden in a niche or is out in the open as a focal point in your bedroom, custom-made wardrobes are always a good choice. 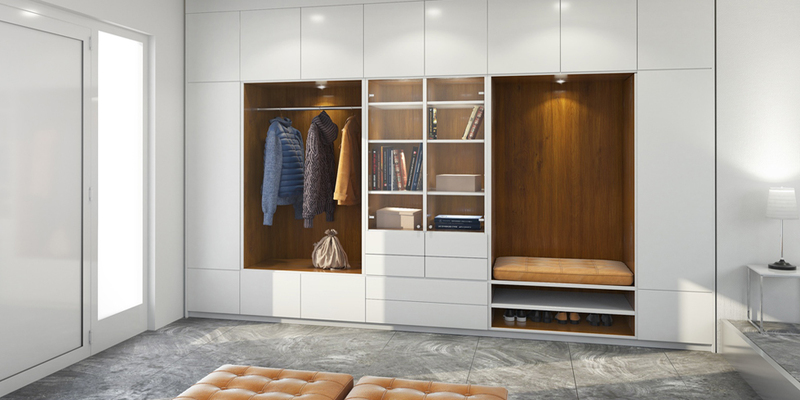 Every corner and spare space can be filled in with a custom-made wardrobe. Your design it, we implement it - that's Pickawood! Your Pickawood wardrobe is made just for you. You can determine the dimensions, the layout of the shelves and the materials! Then you can choose the interior fittings that suit your personal needs! Our online configurator makes everything easy. 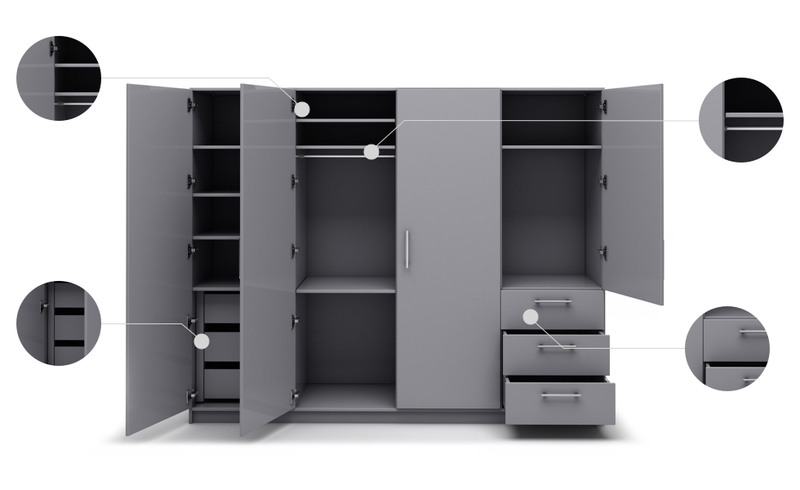 Design your corner wardrobe with Pickawood. We offer a wide range of materials and colours. You can also easily order the interior fittings that are right for you. 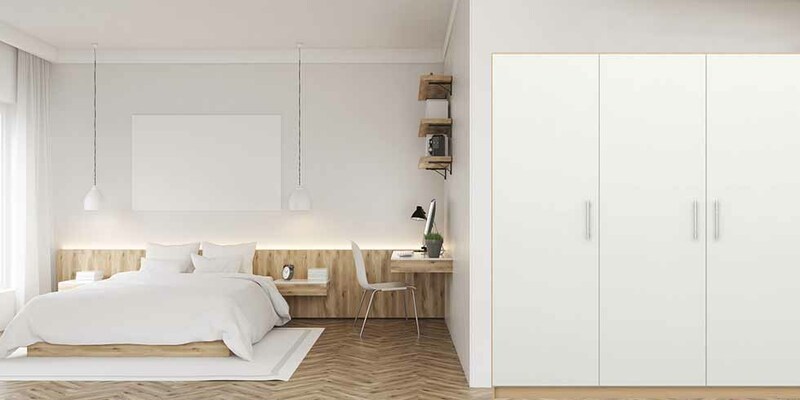 At Pickawood, you can design your built-in wardrobe with precision. Simply choose your desired material, colour and interior fittings. We’ll take care of the rest for you. We are happy to accept your special requests! We have produced plenty of wardrobes and can find a solution for almost every request. Simply contact our consultants and we’ll help you with the design process! Questions? We will gladly answer your inquiry. Our privacy protection policies apply.